Planting up at Russell Grove. Can our Community Project get FUNDING? 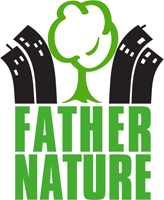 Whilst your community organisation is responsible for the cost of the initial consultation and design for the project, Father Nature is well practiced at helping community groups find external funding or grant sources for the later phases of the project. Project Dirt, the London Community Foundation, Greggs, Tesco's Bags of Help, Teratrees, the Walcot Foundation, and even the Major of London's Crowdfunding Programme are also useful sources of information for access to funding. There are beautiful container gardens on street corners, estates and pavements across Lambeth. These have been designed and built by Father Nature and filled with plants chosen and planted by the local residents. Our bespoke containers are built to last (up to 20 years), made to fit the space exactly and are constructed with sustainably sourced wood. 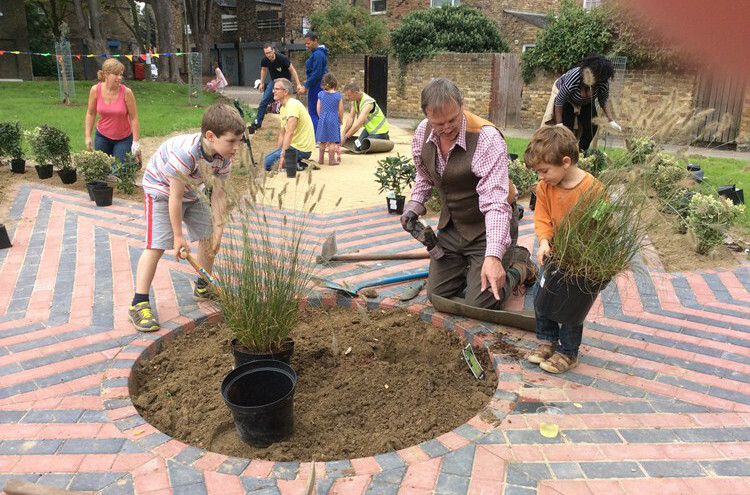 The Our Streets project began when Lambeth Council commissioned Father Nature in 2014 to make the housing estates and pavements of Clapham and Brixton greener by installing planters to combat fly-tipping, increase road safety and add some flower power to the streets. 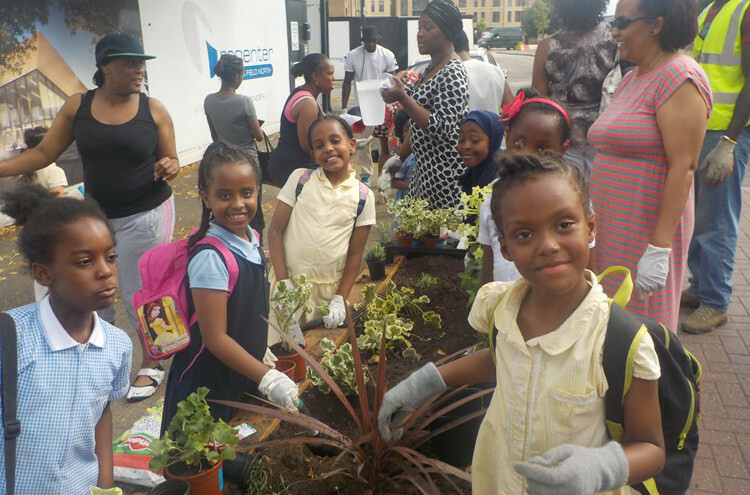 Father Nature turned this 'Our Streets' Neighbourhood Enhancement Programme (NEP) into a true community project, recognising this as an ideal opportunity to put our ethos into action. Three years on our NEP planters are still lovingly tended by local residents. Have a look here. 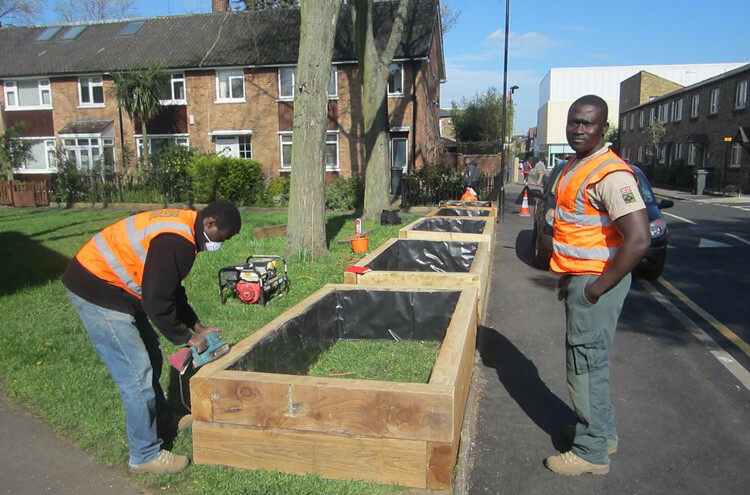 In 2016/17 we worked with Lambeth to implement a second phase Our Streets project in Streatham, adding over 50 new planters to improve the area. To see some of our work in the area, view here. Engaging the community came first as we worked to connect with the residents on each street to find out what they wanted from the project, with the help of local growing groups. Each growing area was then designed and built by Father Nature and placed with full local consultation, followed by a fun filled ‘planting party’ for all, with our sturdy milk float in tow bulging with plants ready for their new home. If your community wants to create an outdoor growing project in South London then please write to us at [email protected]. The 'Before', Clapham Manor Estate. 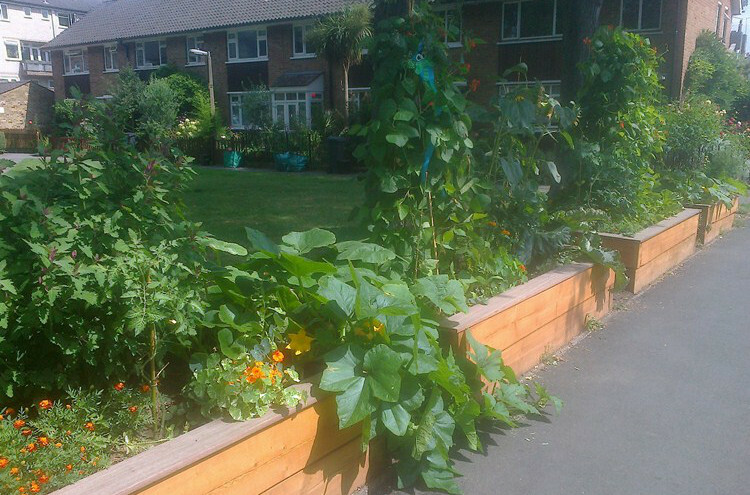 What do people say about our Community Gardening projects? "Gardening is good, it brings everyone together." "It's good to see what neighbours can do together." "I think it’s good that the residents all pushed the council to get this done, it really brings the community together." "It's an amazing way to bring people and neighbours together. It makes the place look nicer. There should be more gardening done around the world." "I love community gardening, I’ve been doing it with my family for a couple of years. It’s nice for everyone to get chatting and to see the results at the end." "It’s brilliant to see community involvement in Russell Grove." "Good tenants achievements with the gardening. Well done to everyone who came and helped." "This has been great fun, it’s good for the community, it gets everyone out and improves the community greatly." "Great event – it’s good for the community, well done everyone."